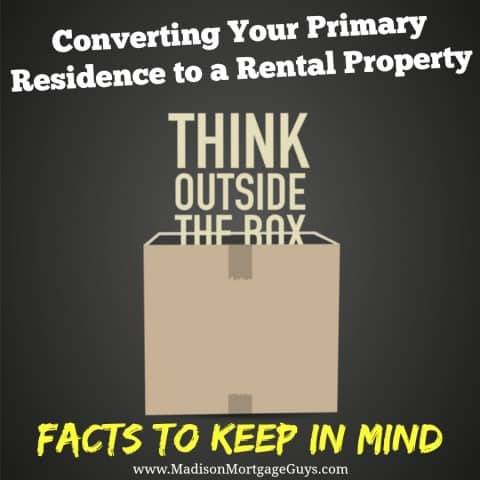 There was a time in the not so distant past that mortgage rules limited people from claiming their primary home as a rental property and then buying another home. The major limiting rule came from Fannie Mae. 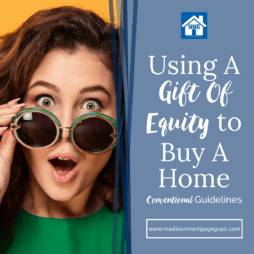 The rule stated that in order to buy a new home and use their existing home as a rental property the owner must have a minimum of 30% equity in the current home. Thankfully, big changes have been made. This likely does not need too much explanation, but for the sake of being clear on the subject, we will briefly cover it. When a person has an existing home with a mortgage and wishes to buy a second property with another mortgage, there is some risk involved. Two mortgages means there are two payments, two property tax bills and two insurance policies. The insurance policy on the investment property may have a higher rate since it is not your main residence. However, the overall policy amount may go down if you are insuring less stuff. There is also the matter of regular maintenance and repairs on an additional property. For these reasons it is very wise to have a nest egg set aside to cover these expenses in case of an emergency. In fact, certain circumstances will dictate that the borrower has some funds set aside for an emergency. Now, let’s talk about the details. Obviously, this is a sign that the overall real estate market is improving and Fannie Mae wants to encourage more people to buy homes. The previous guidelines stated that in order to convert a primary home to a rental property, the owner needed to have a minimum of 30% equity. That equity requirement has been completely removed. The new guidelines state that a borrower may qualify to convert their existing home into a rental property if they meet the usual credit and income requirements. In addition, they can use a new lease agreement for their existing home to qualify as income. 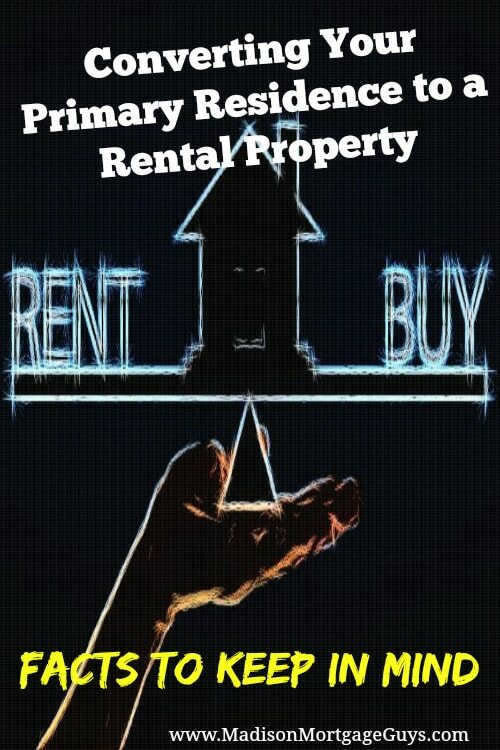 Buy your next home without selling your current home – If the local rental rates are significantly higher than your mortgage payments (including the taxes and insurance) then it could signal it is time to buy that nice home in another part of town and turn your current house into your first rental property. Contract on the next home will not need a contingency – Many people have been in a real estate sandwich. They are trying to sell their current home while looking for another home. IF they find a new home BEFORE their current home sells they have to put an offer with a clause stating that the contract is only good if the old home sells first. That will not be a necessity any more if you can find someone to rent your current home and sign a lease agreement. 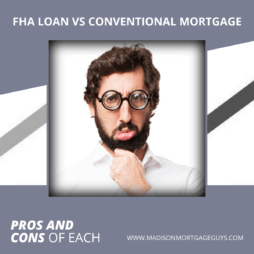 Ability to qualify for bigger loans – The updated guideline states that a person’s current mortgage payment can be offset by a portion of the new lease agreement. This makes it easier for borrowers to meet the debt to income ratio rules. 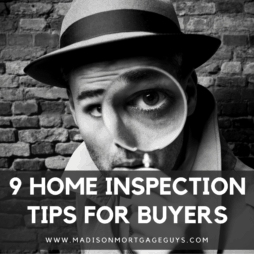 Regardless of whether you have equity in your home or not, when you embark on your journey to buy another property you will be subject to two appraisals. One appraisal will be conducted on the home you wish to buy and the other appraisal will be conducted on your current property. Although this is great news for potential investors, there is one important caveat to keep in mind. The entire proposed lease amount on the rental property will not be used as income. Fannie Mae guidelines are quite favorable. In the event that your current property is a single unit home, you will be allowed to use 75% of the monthly lease amount on your current home. The other 25% is considered money to cover expenses common to property investors. This adds income to your monthly revenue calculation and will make it easier to get approved for the loan. A full copy of the lease agreement signed by the lessor. This is important to keep in mind. If the rental rates in your current area are not significantly higher than your mortgage payment, it may not be the right time to invest in another home. All loan applicants who wish to use Fannie Mae to buy their new home while renting out their existing home will need to have documented proof of reserves. Reserves are money that is put away in savings, stocks and bonds, or retirement accounts that you can readily access in an emergency. The requirement of reserves is not a bad thing. It insures that as a borrower you will have a rainy day fund in case circumstances turn bad for you. PLEASE NOTE: If you are counting on retirement accounts to be used towards the reserve calculations, it must be an account that you can borrow from rather easily. Also understand that the lender will not use the full value of the retirement account. Depending on the type of account, the lender may use 70 to 80 percent of the funds balance. 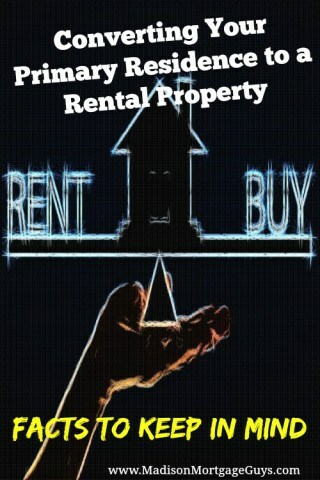 When converting an owner occupied house to a rental the first thing to consider is if the house will be a good rental. 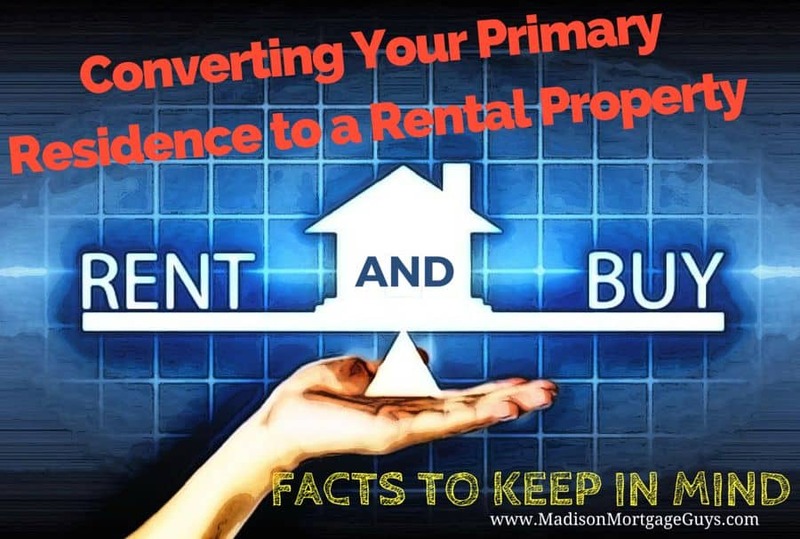 Many home owners choose to rent their primary residence because they can’t sell it for as much as they want and they think the market will improve if they wait it out. This can be a very bad choice if the house is losing money every month while you wait. To make matters worse the home owners probably have no idea how to rent a home or be good landlords and they lose more money. If you are buying a home with the intention of renting it from the beginning there are many things you can do to help your investment become a good one. Invest for cash flow and appreciation. Appreciation is great, but you can’t always predict it. Cash flow will keep you going through the low markets and appreciation will be icing on the cake. If you are buying with less money down choose a loan that can have the mortgage insurance removed in a couple years to increase cash flow. Take advantage of owner occupied only purchase programs like HUD and Fannie MAE REOs. These sellers give owner occupied buyers a chance to buy homes before investors. Make sure you plan for the transition from owner occupied property to rental. It will not be easy to qualify for a new loan, because you can’t count rental income right away with most lenders. Investing in real estate has long been a staple for many people to increase their income and build wealth. If you have a home that could possibly be rented for a profit this is a great time to seize low mortgage rates and purchase another home.